Faceted Crystal Glass Pear BeadsOn this page you will find our stunning faceted crystal glass pear beads. These have very clearly defined, sharp facets. They are very high quality and absolutely stunning - an alternative to Swarovski crystal! Sold by the strand. High quality crystal tear drop shaped beads. Lovely and sparkly with clearly defined facets. 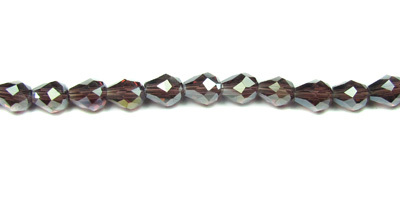 Stunning hand-cut faceted crystal glass pear beads. These have very clearly defined, sharp facets. Not 100% uniform in size.